Konecranes is a world-leading group of Lifting Businesses™, serving a broad range of customers in a wide range of industries including mining, metal production, pulp and paper, power generation, oil and gas, automotive, ship-building and container handling (container ports and intermodal terminals). 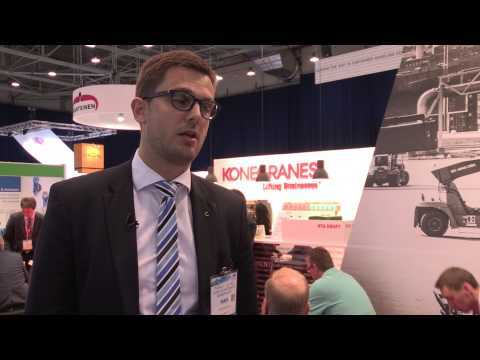 Konecranes has the widest and deepest offering for container handling. It comprises manned STS, RTG, RMG cranes and manned Konecranes Noell Straddle Carriers. It also comprises Automated RMG, Automated RTG systems and automated horizontal transport systems (A-SPRINTER, AGV, Automated Terminal Tractors). All supported by port service and software. 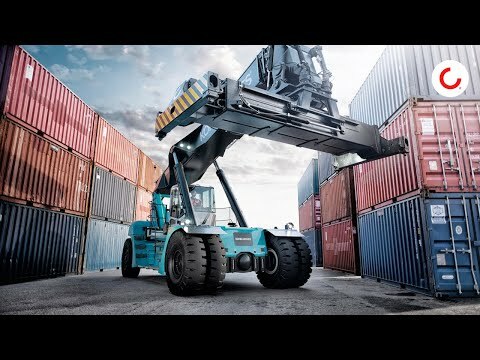 Konecranes offers a wide range of heavy-duty lift trucks optimized for container handling in different applications. These products are developed and supported from the Konecranes Lift Trucks business unit, headquartered in Markaryd, Sweden. Konecranes lift trucks are available in over 80 countries through our appointed distributors and Konecranes country operations. A further 20 Konecranes RTGs have been ordered by the Georgia Ports Authority, as capacity expansion continues at the Port of Savannah. In recent years there has been moderate annual growth in global container handling volumes – reaching around 700 million TEU in 2017. Meanwhile, the capacity of the world container vessel fleet has increased considerably to over 20 million TEU. Because of this, shipping lines are increasingly operating in global alliances, giving them scope to optimize their services and increase their buying power. Shipping lines are also increasingly operating in global alliances, giving them scope to optimize their services and increase their buying power. For container terminals this has resulted in noticeable reductions in handling rates, larger operational peaks and more idle time in waterside operations.